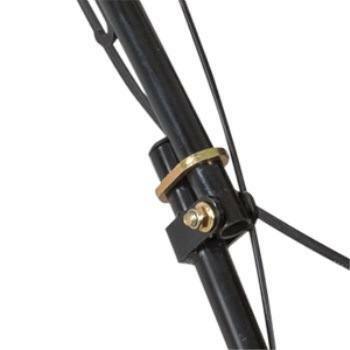 The Exmark® 20 in. 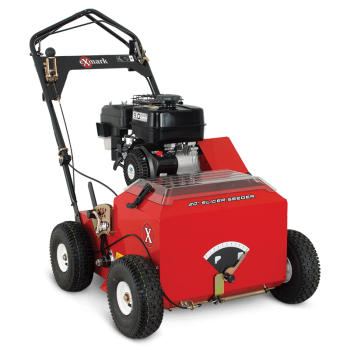 Slicer Seeder is perfect for generating new grass for your customers and new revenue for your business. 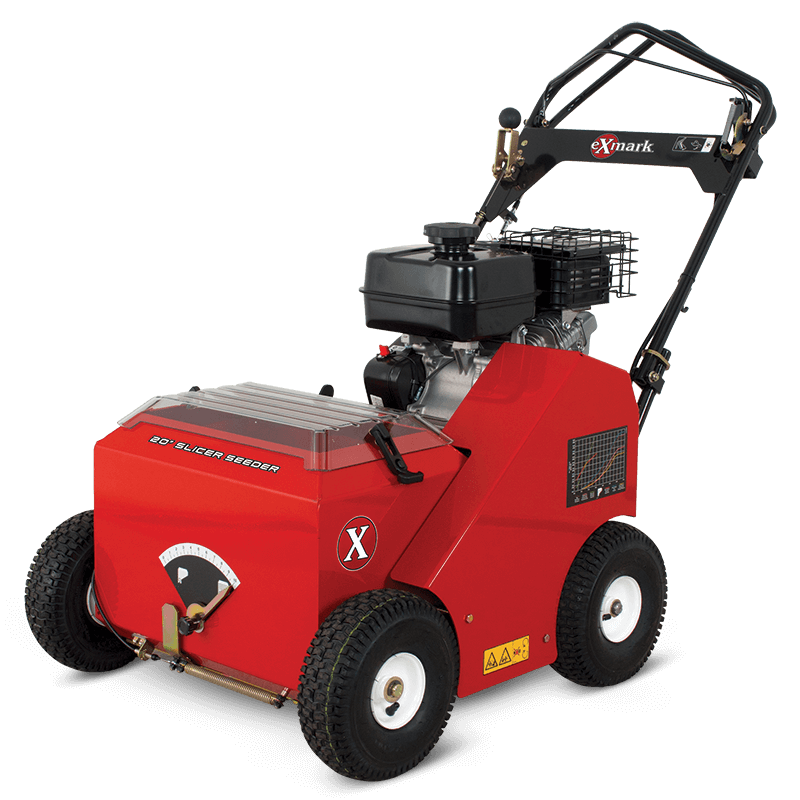 It’s incredibly efficient, performing three jobs with each pass—verticutting, dethatching and overseeding. Plus, its infinitely variable hydrostatic drive with powered reverse makes the Slicer Seeder fast, maneuverable and as easy to operate as a self-propelled mower. 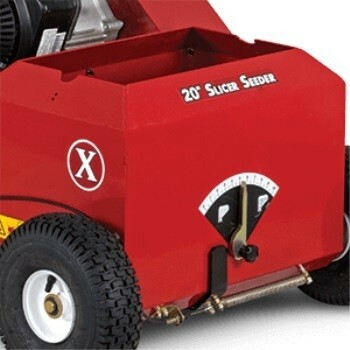 SLICER BLADE DEPTH ADJUSTMENT: Adjust the depth of the slicer blade for different types of seed and lawns. EASY STORAGE: Integrated lift handles and foldable handles improve transport and storage. SEED DELIVERY SYSTEM: The large-diameter mixer regulates seed flow based on ground speed. No matter how fast or slow you go, you’ll get a remarkably even seed delivery. 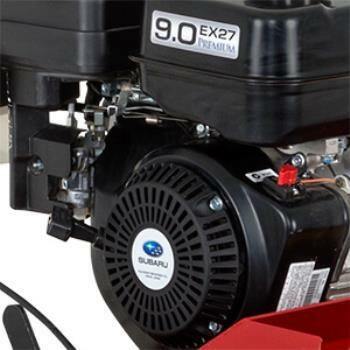 COMMERCIAL-GRADE POWER: The Slicer Seeder’s Subaru EX27 engine is powerful, fuel-efficient, quiet and emissions-compliant, with EPA and CARB certifications. And, since it’s a Subaru, you know it will be reliable. 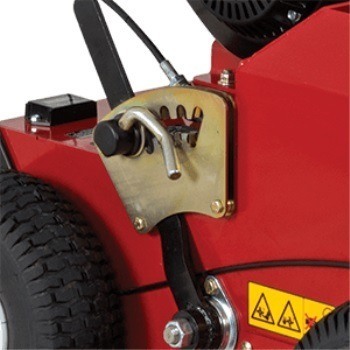 LARGE-CAPACITY SEED HOPPER: With its 40 lb. 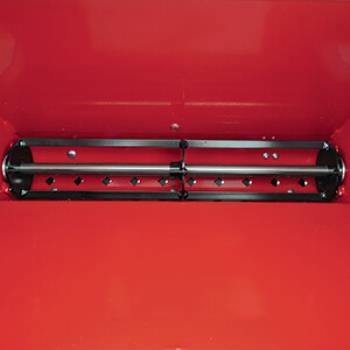 seed hopper, our Slicer Seeder can handle big jobs without constantly requiring stops for more seed. And, fewer stops equal greater productivity. 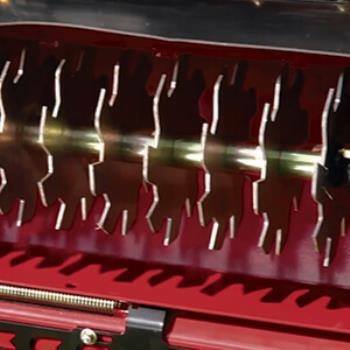 DURABLE STEEL BLADES: High-carbon steel blades remove thatch while providing maximum seed-to-soil contact. 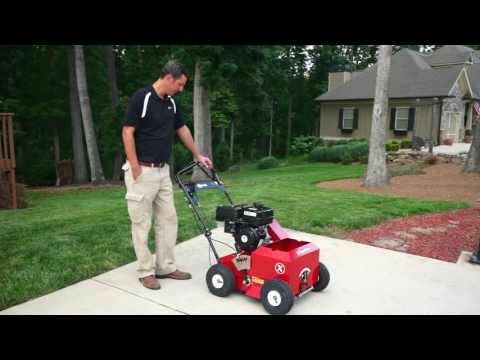 That enables superior germination and emergence for a healthy, great-looking lawn. Hopper size - 40 lb.